As of this writing you can expect to pay between somewhere between $200 and $500 for a copy of Capcom’s delightful PSX Mega Man Legends prequel, The Misadventures of Tron Bonne. Or you can just grab it today on PSN for six bucks. Hooray! 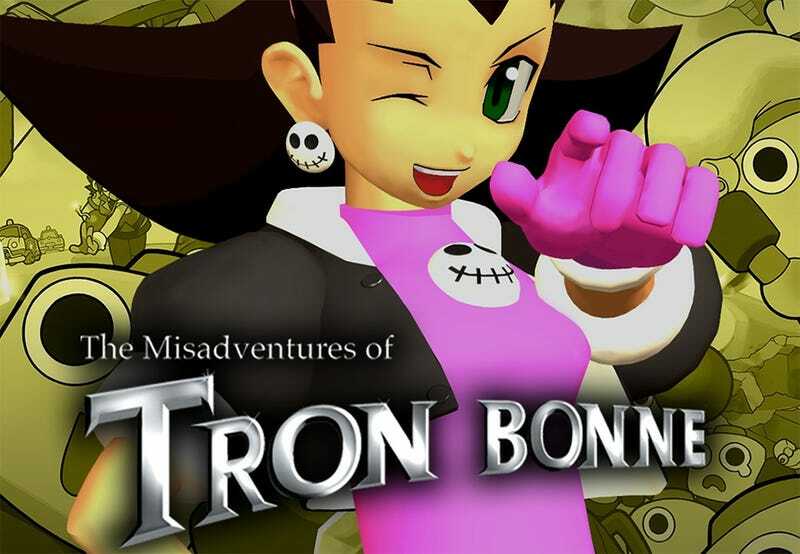 Released a little over 15 years ago in North America, back when Capcom gave a damn about Mega Man, The Misadventures of Tron Bonne is a delightful prequel to Mega Man Legends starring series anti-hero and Marvel Vs. Capcom (2 and 3) combatant Tron Bonne and her army of Servbots. Look at those little guys. So cute. In debt to the tune of a million zenny, Tron Bonne must rob banks and search through ruins for every zenny she can scrape together. Along the way, joy happens. Speaking of joy, take a look at the current eBay prices for copies of the game. While the game’s extremely limited run still means snagging a physical copy is going to set one back a pretty penny, the sudden availability of the game on PSN for PlayStation 3, PSP and Vita means it shouldn’t hurt quite as much once word gets around. Thanks to everyone for sending in the tip. Celebratory splash image incoming! Note: The post original priced the game at $5. $5.99 is not $5.